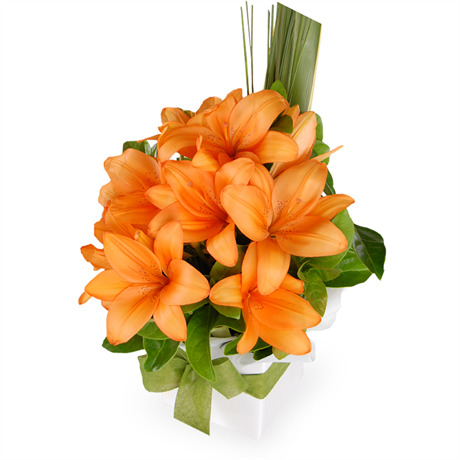 The Cindy is a vibrant spray of tangerine Asiatic lilies, creatively arranged in a stylish gift box and embellished with ribbon. This explosion of orange was created especially by our local florists to garner attention and appreciation, and is a unique arrangement when you’re looking for something modern and innovative. Orange is an energetic colour, and represents warmth, energy and happiness. Shower the positivity of this bright and festive boxed arrangement onto your nearest and dearest today.